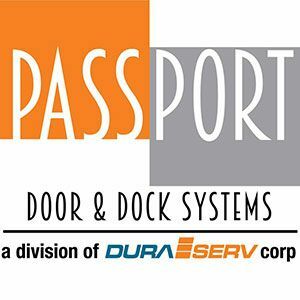 Passport Door & Dock Systems - Passport Door & Dock Systems the largest distributor and installer of Serco Loading Dock System in North Carolina and Wayne Dalton, Rytec and Hybrid Commercial Doors. Loading docks and doors at distribution centers and manufacturing plants can be dangerous places. Dock and door equipment in these areas needs to be safe and operate efficiently -- more often, this is not the case. We fix or replace broken doors and dock equipment, and do our work with our own technicians/employees. With our fleet of fully stocked vehicles and team of factory trained service technicians, we work around the clock to keep your loading dock equipment operating safely and efficiently. Our job is to provide insight and choices regarding facility safety and operational needs for docks and doors. Identifying customers "unconsidered needs" in this regard is our highest priority - we do it well. Working with your architects and/or facility manager, our team of experts is ready to get involved in your loading dock design from inception. That way, we ensure you specify and install the exact loading dock equipment you need to optimize performance (down to the last dock bumper). We are the largest distributor in the world for the leading manufacturers of dock equipment and hi-speed doors. We sell, install and service everything we provide - and do it better than most. Our mission is "to be the most trusted sales and service distributor in our market" and we live by it.